Luis Regis has always dreamed of this moment. He’s longed for the opportunity to showcase his skills on the world stage. 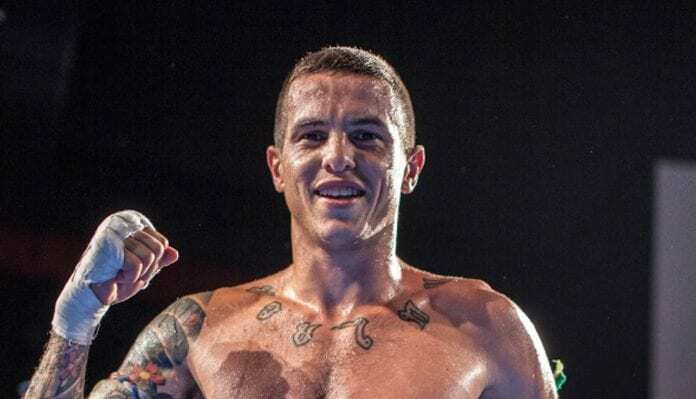 But the 33-year-old Australian could never have imagined he would be performing in front of 16,000 screaming fans and millions of viewers worldwide in his ONE Championship debut. Meeting Yodsanklai IWE Fairtex, regarded as one of the finest Muay Thai champions in the world, at ONE: DESTINY OF CHAMPIONS at Axiata Arena in Kuala Lumpur on Friday night, Regis admitted he had secured his “dream” bout. “For sure, this will definitely be the biggest achievement of my career,” Regis said. “Especially when they gave me a six-fight contract. It’s not just one fight, it’s two years and it brings the fire back because it had been waning for so long. 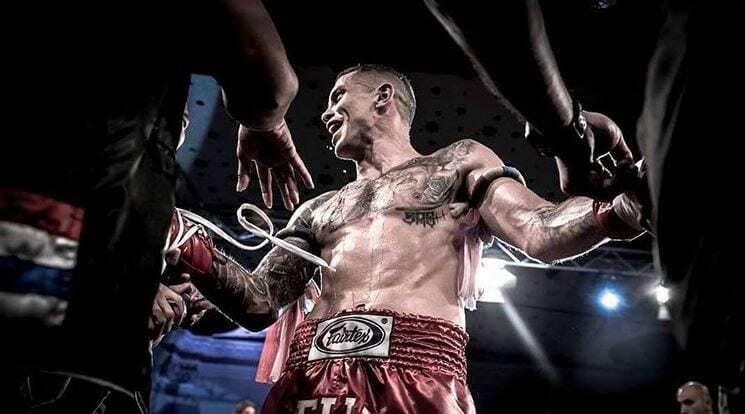 Living in Maroubra, on Sydney’s east coast, Regis trains out of SRG Thai Boxing Gym in Alexandria. He also has a property at Bellingen, near Coffs Harbour, when he intends to build a “farm gym” close to the water, where he can continue his love affair with surfing. But life for Regis hasn’t always been in Sydney. Born in Brusque, Brazil, he moved to the Gold Coast when he was 19. “I just came on my own and I ended up staying. I loved it,” Regis said. “I didn’t have too much to go back to and I just loved the lifestyle here. I moved to Sydney and I got a bit of work, and even though I was making money washing cars, it was more money that I could make back home. A decorated Muay Thai champion, Regis has toiled away in Australia for more than a decade, winning a host of belts. 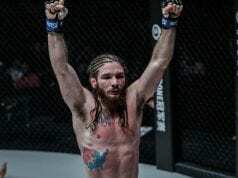 He was on the cusp of making the move to Thailand to compete professionally when the call came from ONE Championship. But initially, Regis wasn’t in a position to answer it. “I asked ‘is it next year?’ And he said ‘no, it’s in December ’ and that was only five weeks away. So it came as a surprise. I didn’t expect it all to happen that quickly. Regis immediately put plans to build a “farm gym” on hold and turned to his wife to care for his two children, aged 10 and 4, while he prepared for the bout against Yodsanklai. “The only thing I had to worry about was family,” Regis said.